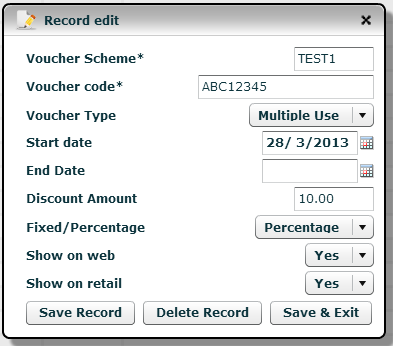 We now have the ability to create vouchers for websites (and maybe PoS) and link them to products. 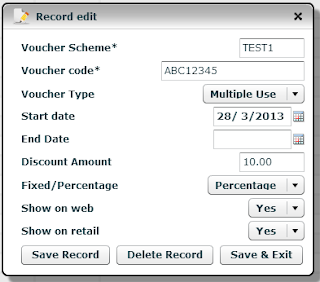 Voucher schemes can be set up that contain either single vouchers that can be used multiple times or multiple vouchers that can each be used only once. Each voucher can either be a fixed amount discount of percentage of the total sale. Products can be linked to these vouchers schemes using myList or individual product entry. All of this information is provided in the API for use by websites.